Recently I took the plunge on my first mirrorless camera. When I took some sport action photography photos over at the local RC airplane field I was surprised how long the camera took to clear it’s buffer. I was shooting RAW+JPG mode. I am used to shooting with a Canon 70D camera. After asking around I didn’t get any solid answers if the Sony would support the higher speed memory cards now available. When I bought the A6000 from B&H Photo they bundled it in with a Sandisk Ultra 40meg/s (silver sticker) SD memory card. 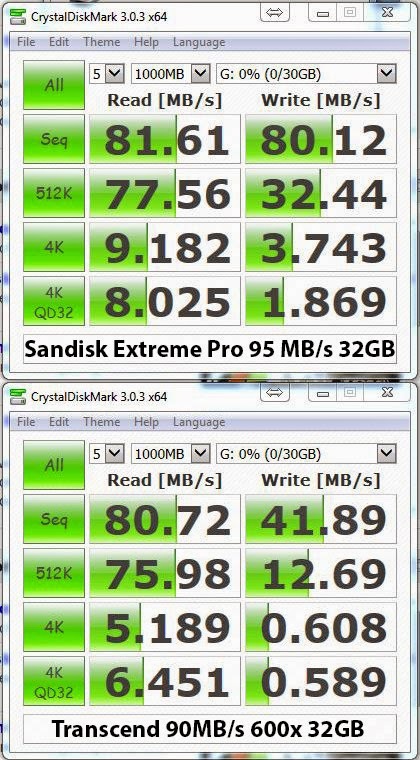 When using Crystal Disk Mark on that SD card it’s write speeds was a dismal 13 meg/s. No wonder I felt a lag shooting my action photos. I tried a few faster memory cards in the A6000 and I was disappointed to discover the camera will not improve it’s write speeds with anything over 45meg/s. Shooting 22 consecutive photos in scene-action mode peaked at 13 seconds write time with a 45meg/s card or a 95meg/s card. The 95 meg card shows 80meg/s write speeds when using Crystal Disk Mark. 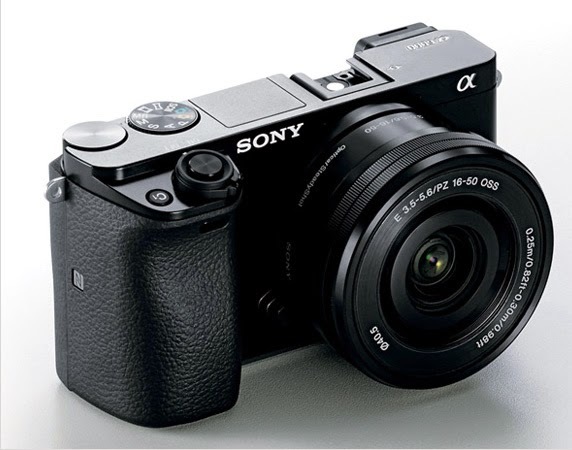 So save your money if you like those Sandisk Extreme Pro cards, the Sony A6000 won’t be able to utilize the faster write speeds.